The Adventures of Man Sponge and Boy Patrick: Goodness, Man Ray! 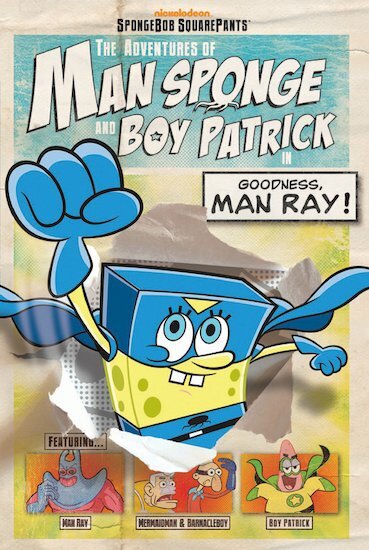 Join SpongeBob and Patrick as they leap into planet-saving action in the guise of their favourite superhero characters – Man Sponge and Boy Patrick! This hapless pair usually end up doing more harm than good to Bikini Bottom and the rest of civilization, but it always turns out all right in the end. What will happen when Man Sponge and Boy Patrick decide to free the villain Man Ray from his frozen prison, and teach him to be good? Can Man Ray really change his ways? Find out in this rib-tickling chapter book starring all the ocean friends! A great book for all spongebob fans .